Fruit and chocolate lovers get the best of both worlds with fresh David Bradley chocolate covered strawberries, oranges, grapes, and granny smith apple slices with honey crystals. There are approx. 14 to 18 pieces in an assorted box of fruit. All Chocolate Dipped Fruits Must Be Shipped By Overnight Delivery with the exception of shipments going to NJ, DE, PA or NYC which may go ground delivery. 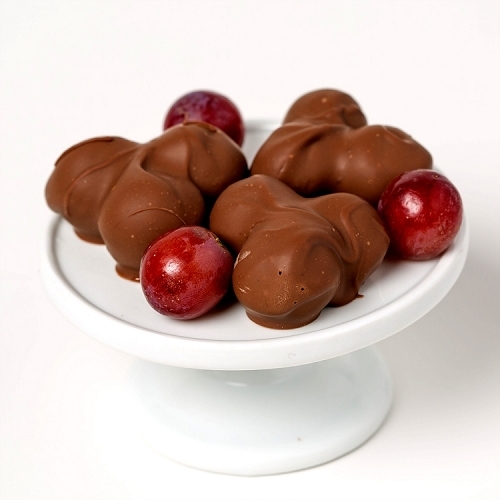 Fresh chocolate dipped fruits can arrive Tue, Wed, Thur & Fri. I absolutely love all of the dipped chocolate but the apples and strawberries are my favorites. I like that in the mixed box you can get both dark and milk chocolate since we have different likes in our house. We can get a treat for everyone. I loved the chocolate dipped orange because it had fruit and chocolate. I do not always eat my fruits but with this product I can eat fruits and chocolate at the same time! This is amazing! Thank you for such extraordinary thinking! 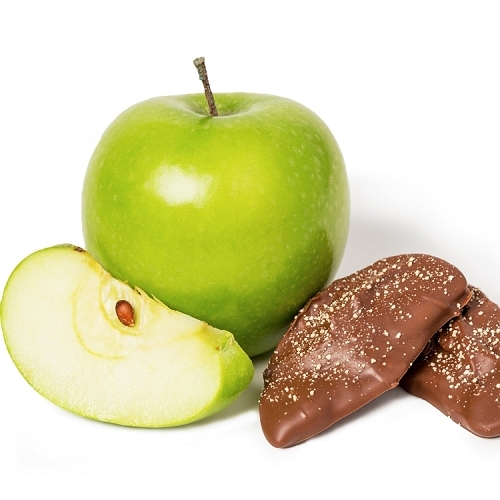 Chocolate dipped fruits of orange and apple are a rather unique and adventurous item for a chocolatier to produce. David Bradley takes initiative to offer these delicacies year-round. I would love to learn more about the process involved with their creation. Bravo! The fruit medley is my ultimate weakness at David Bradley. Once I was introduced to their chocolate covered strawberries, I was sold; and then I found they had a medley of fruit. Not knowing which fruit you were getting was one of the best parts. When I visit my friend in Hightstown we always visit David Bradley Chocolate. My favorite items are the chocolate covered fruit. Not only is the chocolate the absolute best, but the fruit is fresh, flavorful and juicy. You can't go wrong with David Bradley Chocolate. Review of the chocolate covered fruits! To pick one would be difficult - all the chocolate covered fruits are just wonderful. You will not be sorry, try them all! Whenever my friends, family visit, I make sure to take them here. Chocolate is fresh, made on site, staff is just wonderful! So glad you are here! 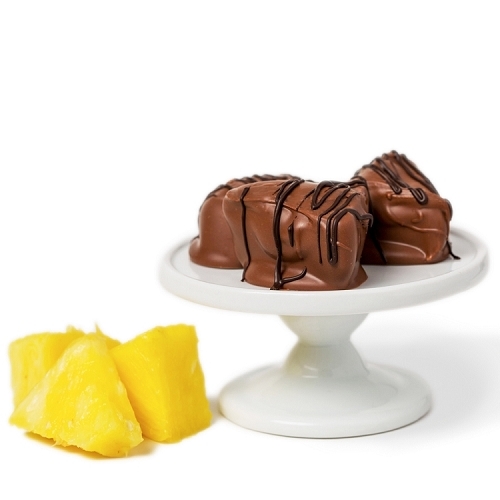 The Assorted Chocolate Dipped Fruits package is a spectacular hostess gift and appreciated by everyone who receives it.